No Avy's that I saw, but the major wind event could have hidden a lot. Faceting and rounding at the ground level could be an issue at some point. 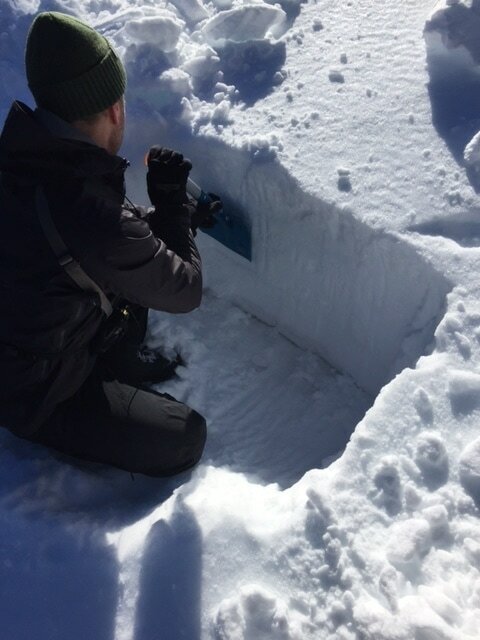 The rest of the snow pack was pretty solid. Top layer could be an issue to look out for in the future. Wind blown crust and in some areas crampons were key. Very sticky and springish on NE-E facing. varying conditions every 10-30 ft. throughout. We did have a couple lines of fun turns though. The biggest issue was that the bad looked good and good looked good.